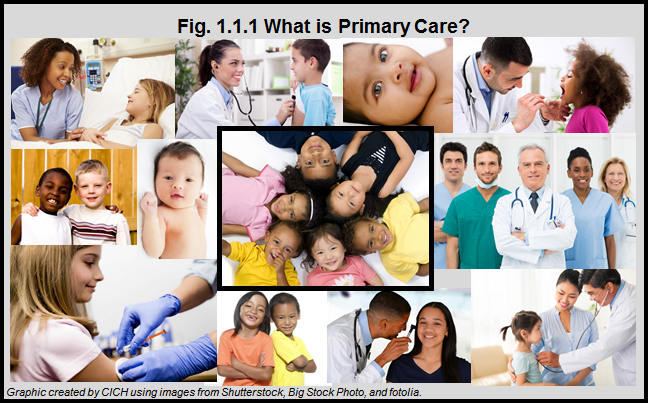 Home Modules Module 3 Section 1 What is Primary Care? Primary care is generally thought of as well-child care. It includes acute care, chronic disease care, developmental screening and immunizations. It includes assessment, treatment and prevention strategies. It is provided by a variety of care providers – family physicians, public health nurses, nurse practitioners, midwives and paediatricians.